Hello, and Welcome to the Seller Tradecraft Family! This is the Underground Laboratory for unique Amazon FBA selling tactics and outside the box ideas! We encourage you to post, share, and add value in any way! We truly want to help each and every one of you crush it on Amazon! Thanks for joining the #STFam!! Please reach out to us if you have any questions! You can shoot me an email at: abe@sellertradecraft.com. ***Please do not spam the group with affiliate links or services without reaching out to the admins first! We don't like to promote info or services that we haven't officially vetted! We want to keep the content rich and actionable for everyone! We don't have wiki content for Seller Tradecraft ( Facebook Group ) yet. 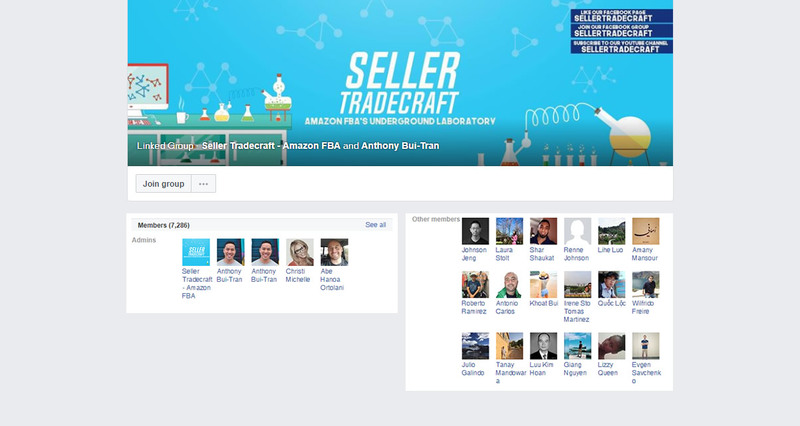 Are you familiar with Seller Tradecraft ( Facebook Group )? Please quickly share in your own words what Seller Tradecraft ( Facebook Group ) is all about! Share in your own words what Seller Tradecraft ( Facebook Group ) is all about.